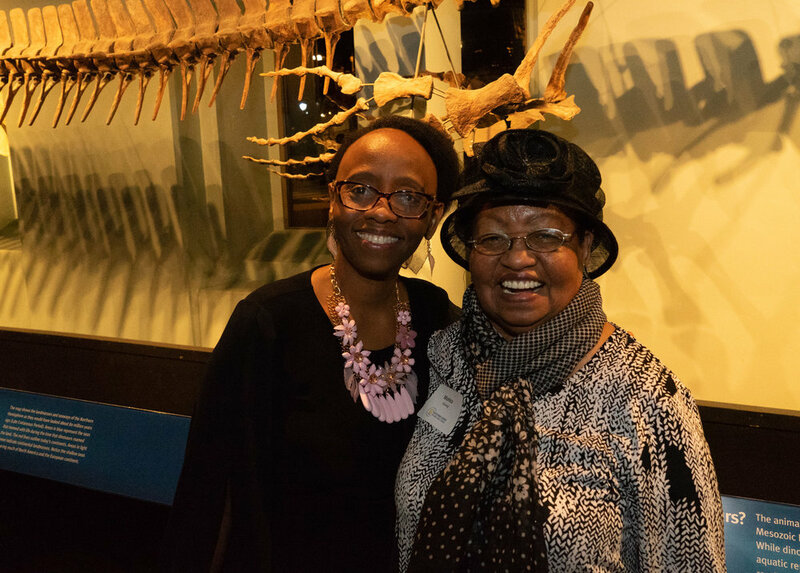 Earlier this month SEGA and Nurturing Minds celebrated our 10th anniversary with a gala at the Academy of Natural Sciences in Philadelphia. Now in its 10th year, SEGA has a lot to celebrate! It’s amazing to believe that 10 years ago SEGA was just a figment of Polly Dolan’s imagination but today the school serves 270 girls annually on a 30-acre campus with 24 buildings! SEGA’s holistic approach to education provides entrepreneurship skills development and a comprehensive life skills and leadership program, specially designed to address the needs of economically disadvantaged girls. The school emphasizes environmental stewardship and is run completely on solar power, has a rainwater catchment system, organic gardens and an anti-ivory club. SEGA also runs a comprehensive career development program and provides scholarships to our graduates pursuing diplomas in nursing, teaching, business and advanced level high school which leads to university. Eighty-three percent of our graduates currently pursue higher degrees beyond high school — an immense accomplishment for our students and staff, alike! Off-campus, SEGA reaches another 300 girls ages 10-18 in 16 communities through Modern Girl, a community outreach program that delivers key messages in sexual reproductive health, pregnancy prevention, hygiene, assertive communication, girls' rights, and financial literacy. As you can see, a lot has happened in these past 10 years! 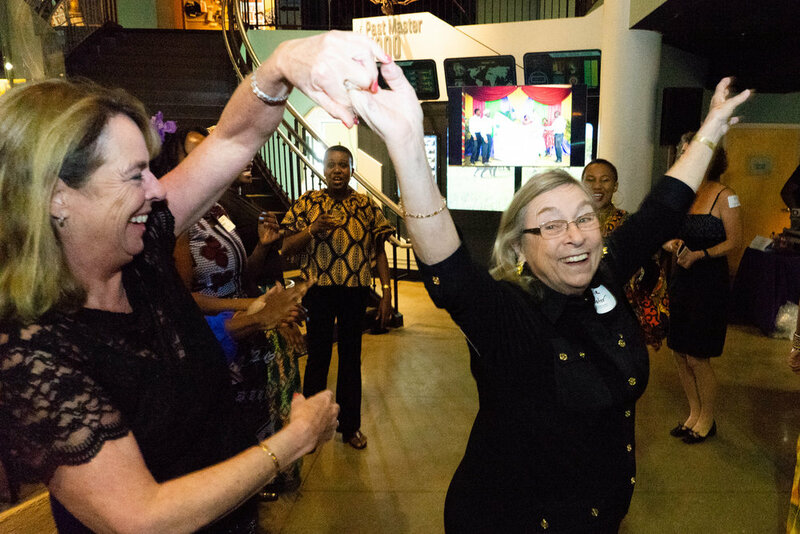 The gala was a memorable event, celebrating many of our milestones, with a special focus on honoring Clarke Blynn, a founding board member who has worked tirelessly to help SEGA become a financially sustainable organization. Clarke has been a fundamental part of the Nurturing Minds family from the very beginning and was the organization’s first board chair. The beautiful SEGA campus is a great tribute to Clarke’s vision and expertise; over the years Clarke has worked hand in hand with Polly and the architecture team to build 23 beautiful and practical buildings. Clarke also has made a memorable impact by seeding our endowment and raising over 1.5 million. The organization’s 10th anniversary was a perfect way to celebrate Clarke’s immense contributions and leadership over the years. Nusura, one of SEGA’s highly successful graduates, was also in attendance at the gala. During the course of the evening Nusura made a speech telling her life story — beginning with poverty and selling snacks on the street as a young child. Nusura’s life changed drastically when she was accepted to SEGA, where she was supported, nurtured and challenged to be the best she could be. Post graduation Nusura was one of only 5 students from Tanzania to be accepted into the prestigous African Leadership Academy (ALA) in South Africa. If there was every a success story to personify SEGA’s goals and success — Nusura’s story is it. We are so proud of all Nusura has achieved and wish the same success for all of our students. All in all, the Gala was a huge success with over 230 supporters in attendance and over $140K raised! We are so grateful for the amazing support we have received over the years — Asante sana!